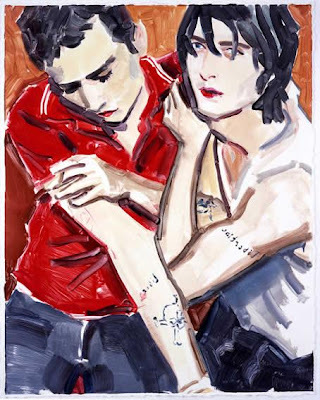 Above, Elizabeth Peyton: Contemporary figure painter (mostly male model-y figures in lush paint). 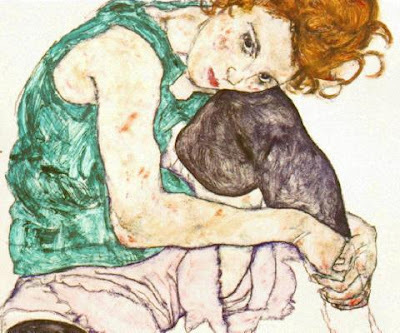 Below, Egon Schiele (1890-1918): Austrian figure painter of mostly female nudes and self-portraits (often twisted or sexual or about death). The two painter’s work seem correlated to me- a similar emotion or connection to the viewer, I guess.